Throughout an entrepreneurial career, Lisa Gaynier has developed expertise in organizational effectiveness, and leadership development. She has thirty years experience as a business owner, leadership coach and consultant. Her special areas of practice are leadership development, building culturally competent organizations, and executive coaching. Clients include business and organization leaders, educators, engineers, managers and human resource professionals at Eaton, Ford Motor Co., Honeywell, Sysco, Michigan State University, The University of Michigan, the Northern Ohio Minority Supplier Diversity Council, PNC Bank and various non-profit and community organizations. 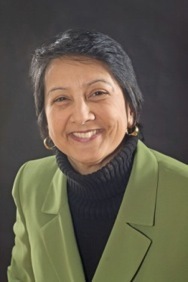 Gaynier worked as a survey manager for University of Michigan’s Institute for Social Research in the early 1990s, managing longitudinal studies such as the Panel Study of Income Dynamics, Monitoring the Future, and the Women’s Health Study, in addition to the monthly Survey of Consumer Attitudes, a component of the Index of Leading Economic Indicators. In 1997, Gaynier integrated her business experience with the field of organizational development and founded creativechange.biz. Since 2006, she has been the Director of the Master’s Program in Diversity Management, an organizational leadership program for mid-career adults at Cleveland State University, where they are developing culturally competent leaders who can lead and sustain change. Gaynier has an MA in Psychology from Cleveland State University and a B.A. in social science from Michigan State University. In addition, she has extensive post-graduate training from the Gestalt Institutes of Cleveland and Cape Cod. Her multicultural background (Pacific-Asian & European ancestry) serves her well in assisting the organizational sub-cultures of her client systems to more effectively recognize and leverage their differences to enhance innovation and competitiveness. She is certified to administer the Myers Briggs Type Indicator and the Emotional Intelligence Inventory. Gaynier serves on the Board of the Northern Ohio Minority Supplier Development Council. She is a former Board Chair of the Cleveland Mediation Center. Gaynier has also published journal articles on Gestalt methodology, mediation, and global leadership, including “Global Leadership Competence: A Cultural Intelligence Perspective“, winner of the AIB Best Paper award. In October, 2011, Gaynier was a featured panelist on culturally competent leadership for the Association of International Business, SE Chapter Conference and in June, 2012, she was invited to the U.S. State Department to discuss cultural competence in U.S. foreign affairs. She is also the co-author of the award-winning Remembering Diamond Head, Remembering Hawai’i, A Cookbook Memoir of Hawaii and its Foods.